Romania has an effective absorption rate of 48 percent for EU funds for agriculture and rural development, ranking sixth in the EU, according to data from the Agriculture and Rural Development Ministry (MADR), Agerpres reports. The fund absorption rate in the 2014-2020 National Rural Development Programme grew by 36.2 percent in 2019 compared to the same period of 2016. “For the 2014-2020 period, Romania is managing a fund allocation of EUR 8.1 billion, ranking sixth in the EU after Italy, France, Germany, Poland and Spain. In terms of payments made towards EAFRD (European Agricultural Fund for Rural Development) beneficiaries, Romania is in second place in the EU, after France, and first in the EU if we talk about the absorption rate for 2019, which grew by 36.2 percent compared to the same period of 2016,” said Teodora Gabriela Gheniu, state secretary in the MADR. The recipients of these funds are farmers, processors, entrepreneurs and local public authorities in Romania, who made a commitment to develop ambitious projects with a positive long-term economic impact, meant to contribute to the development of rural areas through efficient and cost-effective investments at European standards. Through its rural development policy, the EU aims to help rural areas deal with the multiple economic, social and environmental challenges of the 21st century. Known as Pillar II of the Common Agricultural Policy, the EAFRD was improved in the 2014-2020 period through ample reform, which resulted in an allocation of EUR 8.1 billion for Romania, which was added to the national contribution of EUR 1.3 billion. PNDR also allows investments into the diversification of the rural economy by promoting the creation and development of SMEs in non-agricultural sectors in rural areas, as well as promoting the tree cultivation sector as a specific needs sector through a dedicated subprogramme and encouraging local development at the hands of the community through the LEADER approach. The LEADER component improves competitiveness, quality of life and diversification in the rural economy, as well as fights against poverty and social exclusion. According to the MADR, at the end of January 2019, Romania was on par with the Czech Republic and Lithuania on sixth place in terms of the absorption of EU funds for agriculture and rural development. 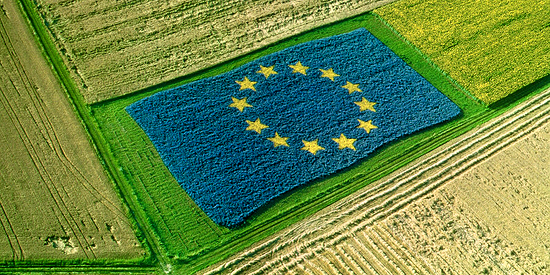 PNDR 2020 provides EUR 445.8 million for farmers in the first quarter of this year. According to the Agriculture Ministry, PNDR 2020 focuses on the following priorities: upgrading and improving viability of agricultural exploitations through consolidation, opening to the market and to agricultural product processing, encouraging the renewal of farmer generations by supporting the involvement of young farmers and developing basic rural infrastructure as a precondition to attracting investment and creating new jobs.